McWane is a $2.5 billion multinational based in the US which manufactures ductile iron products as well as building network switches and monitoring equipment. The group has made a number of investments in IoT and remote monitoring technologies. For McWane India, the challenge was to adapt these technologies to the Indian market. The company needed an end-to-end connectivity partner for its smart metering solutions, designed to monitor water, energy and road infrastructure in smart cities. Reliable connectivity was important to ensure an uninterrupted flow of data, as well as the ability to collate and analyse this data via a single portal. McWane India’s smart monitoring solutions are underpinned by the Vodafone IoT Managed Connectivity Platform. The service allows McWane India to manage its devices from a single platform, with the ability to activate or deactivate connectivity as and when required, nationwide. Each SIM has a Global Verification Number (GVN) which means individual instructions can also be sent to a particular device. 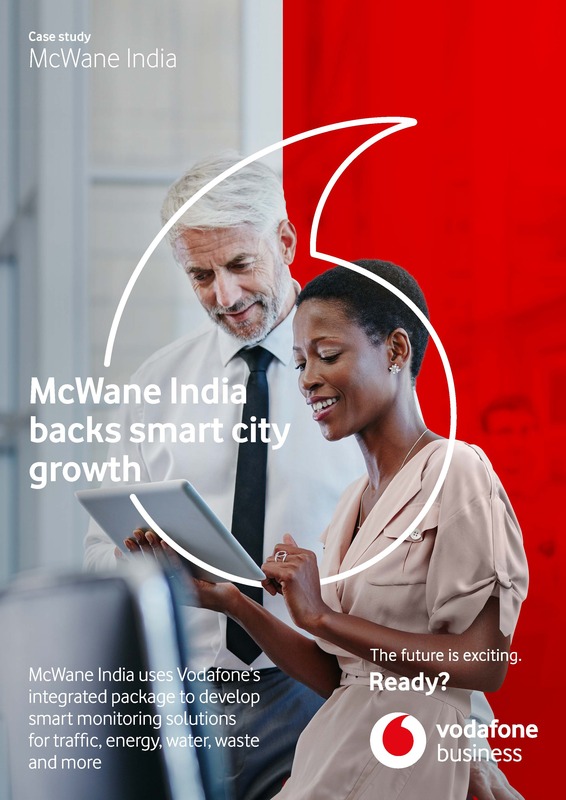 The Vodafone IoT service enables McWane India to build a strong customer service relationship, with smart meters being easy to install and activate, removing the need for customers to worry about set up processes. Additionally, it provides McWane India with the ability to identify issues in real-time and alert the customer promptly.